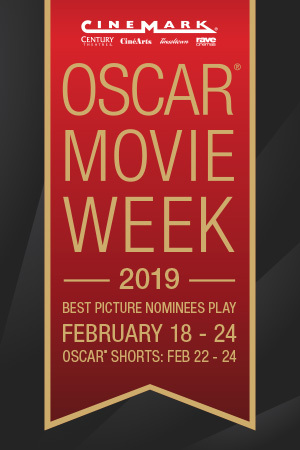 Pickup for Oscar Movie Week Starting February 9! PASS INFORMATION: Pickup your physical pass at your local theatre starting February 9! Shows are limited to first come first serve basis. Limited Seating. Age and Rated-R Policy: No Children Under Age 6 Will Be Admitted To Any R-Rated Feature After 6:00 PM. Valid IDs will be required to attend Rated "R" movies. You must be at least 17 years of age or have your parent accompany you to view the movie. IDs will be checked at the theatre.